Veteran's Day isn’t to be a memory, but a day to commemorate those who sacrificed their lives and livelihood. We may not set aside the memories and respect we expressed only days ago. The gestures may remain silent for another year, but they remain in our hearts. As we step ahead in time, we look at this day November 13, 2018, as we remember another milestone in history. We look upon this day as a day when veterans of one era finally receive the respect they deserve. They receive the respect that for more than a decade was silenced, by a narrow-minded view, that certain men and women didn’t deserve respect because they fought an unpopular war. 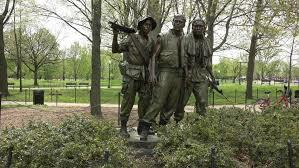 It is on this day in 1982 that the Vietnam Veterans Memorial was dedicated. The “Wall” as people commonly refer to it has become an icon. The black granite “v” shaped wall is a symbol of love and loss, war and peace, and the unending cycle of war. 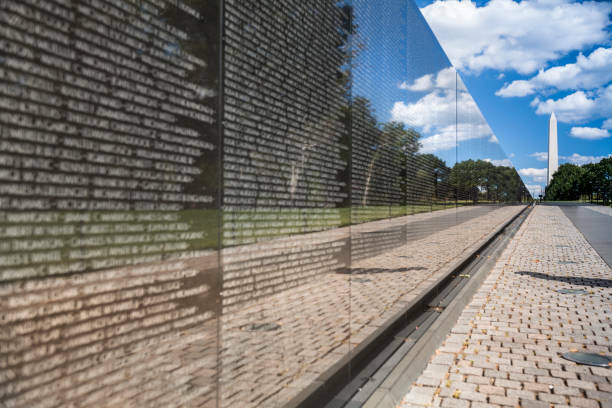 The Memorial is inscribed with 57,939 names of those who never came home from Vietnam. The “Wall” has become a gateway to forgiveness. It is a place where the protesters and defenders meet and remember a time of turmoil that separated a people who before the war were friends. The Vietnam Veterans Memorial is a place that offered the initial healing. It is one of the most visited memorials in the nation's capital. I will take a moment today to remember not only the sacrifice our military endured in Vietnam but the humiliation people subjected them to when they returned home. I salute each of you today; those who look upon the names on the Memorial, and those whose names are inscribed within the black granite. Thank you for your service and your sacrifice. My heart goes out to you who suffered in silence. I wish peace for you in your lives.